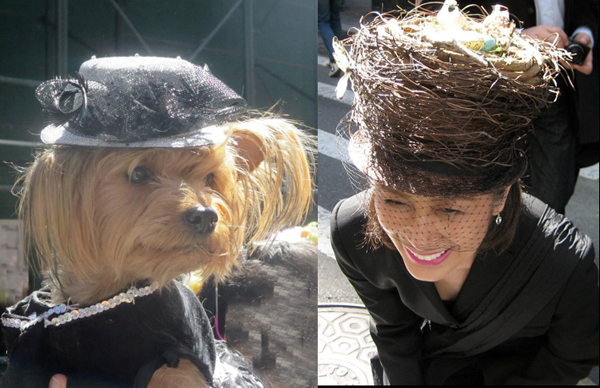 Posts Tagged "Easter Parade Hats 2012+2014"
Home » Posts Tagged "Easter Parade Hats 2012+2014"
Here are two of my favorite Fifth Avenue Easter Parade photos. The dog photographed on Fifth Avenue in NYC in 2014 and the bird’s nest in 2012. I hope to go in 2015, but not sure. Meanwhile, Happy Easter.